Mumbai: It had been pitched as one of the biggest films of the year, with the buzz extending to haircuts that emulated the lead actor’s. 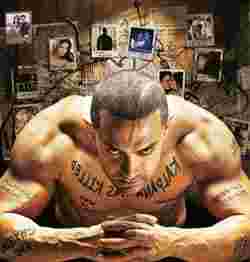 Now, with a record number of people expected at movie theatres this weekend, Ghajini, which releases today, looks set to clinch the title of biggest cinematic opening of Bollywood. “There has been a phenomenal response from individuals and companies," says Datta, who predicts that a record 350,000 people could watch the film in PVR halls this weekend. “It surely looks like it will be the biggest opening of 2008." Vishal Kapur, chief operating officer of Fun Cinemas, agreed that going on anecdotal evidence, Ghajini was all set to claim the title: “It will be the biggest opening this year. There have been 650 paid previews, compared to the 220 for Singh is Kinng (which currently holds the all-time record with opening weekend takings of Rs59.2 crore). There is a lot of excitement for this movie and most cities are booked out for the weekend." Expectations for a stellar opening coincide with Ghajini becoming the latest film starring Aamir Khan to have attracted controversy. Plans for a Christmas Day release hit a roadblock after a suit was filed in the Bombay and Madras high courts, alleging copyright violations and seeking a stay on the release of the film that cost Rs50 crore to make. The suit, filed by the producer of the Tamil version of which Ghajini is a remake, marks the latest controversy to attach itself to a film in which Khan has starred. The 2005 Tamil version of Ghajini was inspired by Christopher Nolan’s Memento (2000). Both Taare Zameen Par (2007), Khan’s directorial debut that told the story of a child’s battle with dyslexia, and Fanaa (2006), ran into trouble in Gujarat over Khan’s views on resettlement of people displaced from the construction of the Sardar Sarovar Dam on the Narmada river. The films were banned in cinemas, and effigies of Khan were burnt on the streets. Meanwhile, animal rights activists protested both Rang De Basanti (2006) and Lagaan (2001) for unauthorized filming of animals. Khan, who has represented India at the annual Academy Awards three times with Lagaan, Rang De Basanti and Taare Zameen Par and is known to score hits at the box office, is bound to attract opportunists, according to Kunal Kohli, who directed the star in Fanaa. “More than anything, the controversy is a quirk of fate or just bad luck," says Kohli. “People are taking advantage and an Aamir Khan film is released once a year, so anyone who has a grievance or wants to stake their claim on it or get their 15 minutes of fame, will see it as an opportunity to get involved." Singh is Kinng, starring Akshay Kumar, and Ashutosh Gowarikar’s Jodhaa Akbar, were other high-profile films which fell victim earlier this year to the phenomenon of eleventh-hour lawsuits filed by various interest groups. Directed by A.R. Murugadoss, Ghajini, which will open in cinemas across India with 1,200 prints, will release globally with an additional 300 prints in 22 countries, including the US, Canada, the UAE and the UK. With his previous films having scored at the box office—the net box office figures of Taare Zameen Par, Fanaa and Rang De Basanti were Rs61 crore, Rs53.1 crore and Rs51 crore, respectively—the industry is pinning its hopes for relief on Ghajini after a dismal year at the box office. “I think the opening will be bumper," said Amod Mehra, film distributor and analyst, “but the success of the film depends on its merits. If it is a good film, it will run. But there are expectations it will do well."